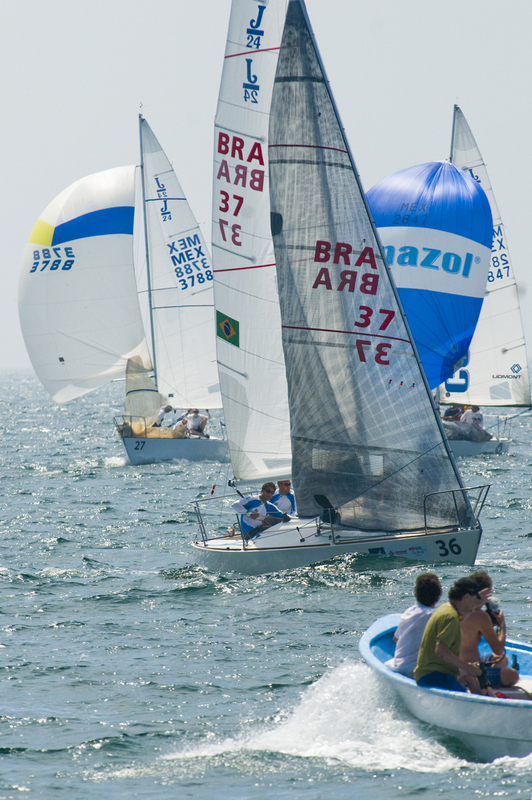 Former J/24 World Champion, Mauricio Santa Cruz of Brazil sailed two flawless races to take the early lead in the 2012 edition of the Regata Copa Mexico. His two bullets put him two points in front of another former World Champion, Tim Healy of Newport, Rhode Island, who finished the day with two second place finishes. 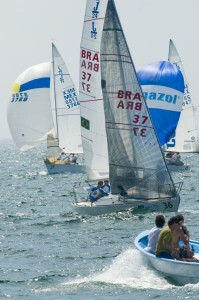 The 50 boat fleet enjoyed two races in light, 6-8 knot breezes. Racing continues through Friday.